So I’ve cut out sweets and junk food. For dessert and snacks they get fresh fruits or the occasional slice of cake if there’s been a birthday. Cos I’m daaaaamn paro about the kids getting cavities! Fun fact: I’ve never had a cavity in my life *proud. But the thought of the kids having dental problems freaks me out la how they gonna deal with the pain and the care!? Not to mention the host of problems after that – teeth shifting around etc. Anyway I’ve always been careful with their teeth. 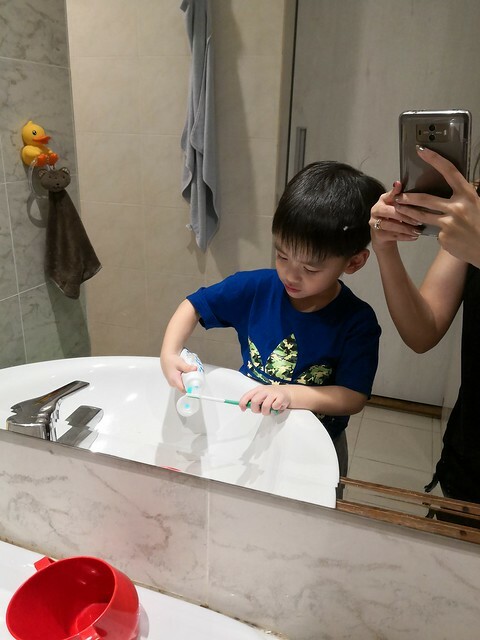 Since like a few months old I’d wrap my finger in a small towel and wipe their gums and tongue so they’d get used to having a toothbrush later. 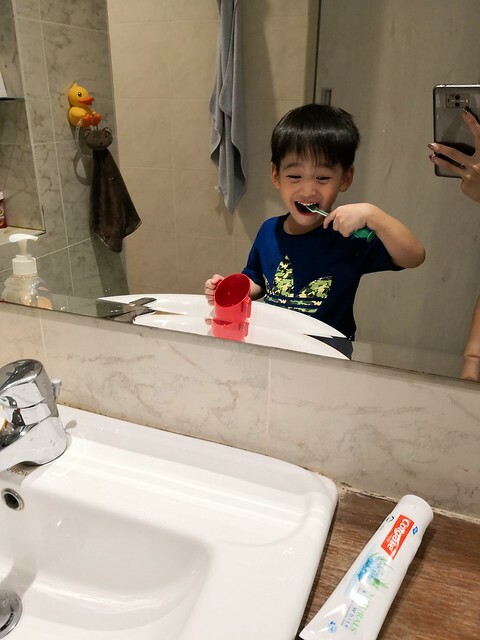 Fighter is really good about brushing his teeth! But Penny…. 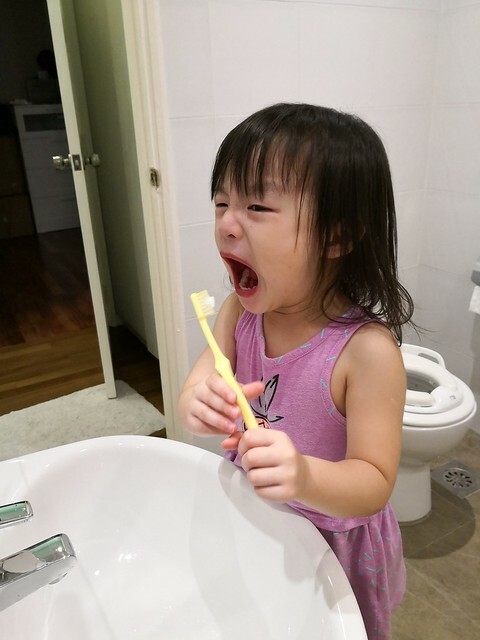 Penny’s hobby is eating toothpaste. -____- So I gotta watch her very carefully to make sure she doesn’t swallow bubbles or intentionally eat it wtf. 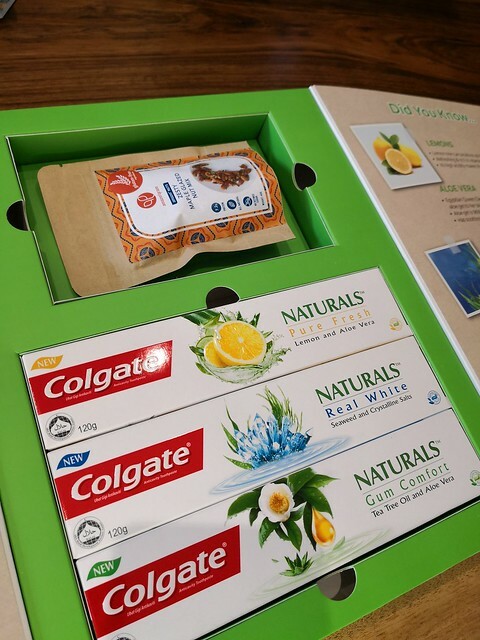 Just as well I received the new Colgate Naturals Toothpaste hahahaha. 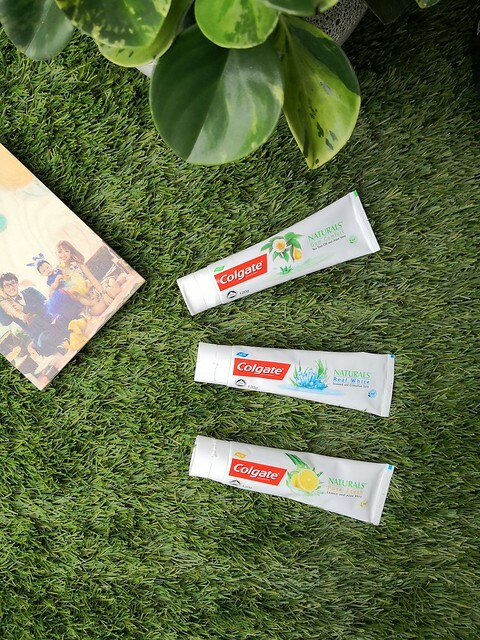 They have three flavors: Pure Fresh (Lemon & Aloe Vera) which is for lasting fresh breath with a lemon taste, Real White (Seaweed and Crystalline Salts) which is for a whitening effect, and Gum Comfort (Tea Tree Oil & Aloe Vera) which is pretty self explanatory. Tried Pure Fresh for Penny. 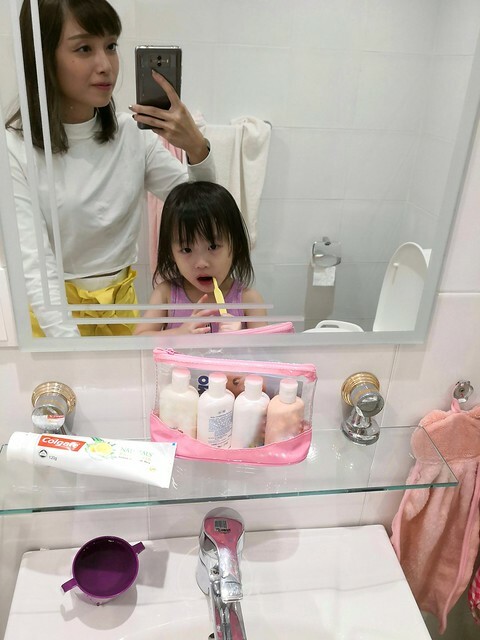 To match her yellow toothbrush lolol. Must open so big or not baby hahahaha. Koko’s turn to try! Blue is his favorite color so… Real White it is. Hahahahaha camera ready. Saw my phone and smiled wtf. Hahahahaha my cute boy. 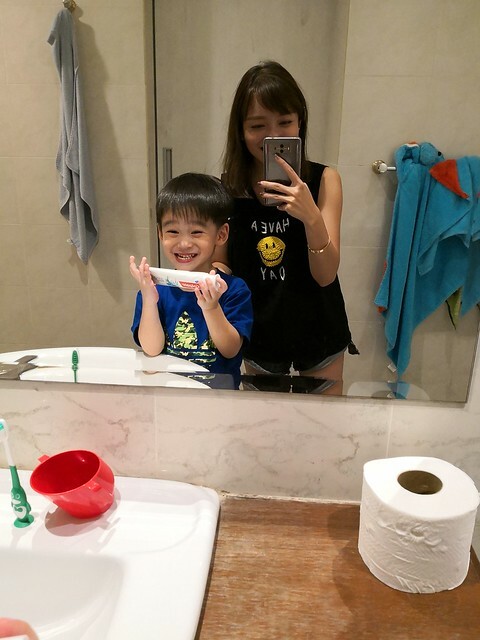 To be honest, Fighter didn’t like it — he said it was too spicy (by that he means minty lol) but that’s actually a good thing because the normal kids’ toothpastes that’s usually fruit flavored? They eat it as though it’s melted candy. -___- So this one tasting less like candy, they definitely won’t simply eat hahaha and just brush with it. 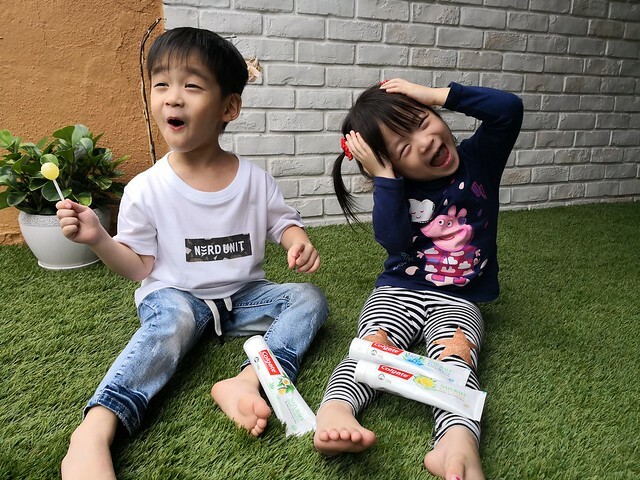 Verdict: Colgate Naturals might take some getting used to for children, but for adults, it’s a refreshing, natural take on the usual mint toothpaste on the market. 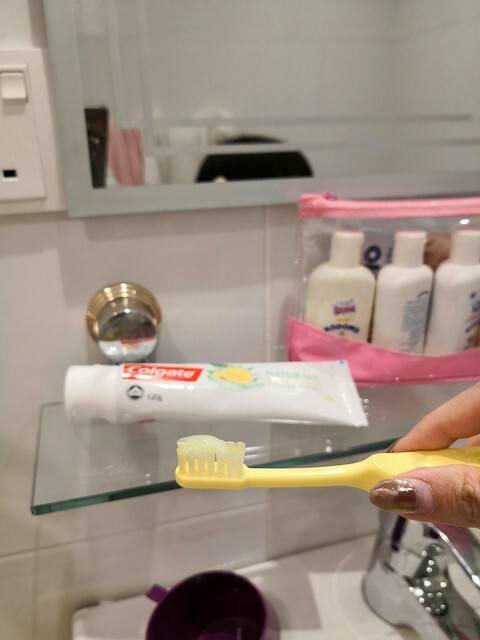 This post was written in collaboration with Colgate Naturals.